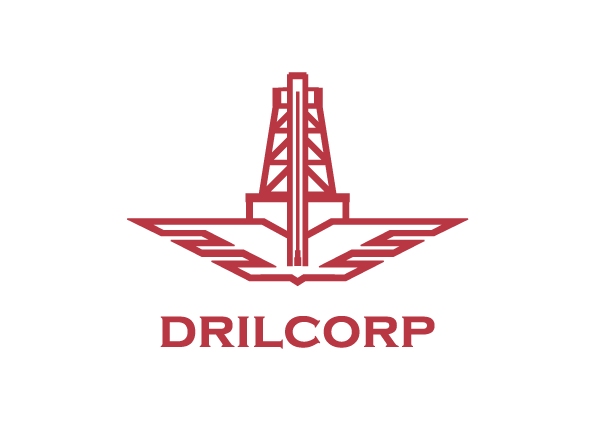 Drilcorp Limited operates in excess of 1000m of Geobore S Wireline coring equipment, allowing for upto 5 set ups at any one time. We have several rigs available including truck and tracked rigs and machines capable of pushing the technique to depths in excess of half a kilometre. In addition to Geobore S we also offer conventional coring capabilities. We are in a unique position where we can select the ideal system for you regardless of the ground or funds available. That being said our preferred coring option is Geobore S simply because of the outstanding cores it delivers and this blog will examine two different jobs which will help show the versatility of the technique. The first will show the specialist end of the Site Investigation application to depths of say 200mbgl. The second is a bespoke operation demonstrating the adaptability of the system when coring at depths of upto 500mbgl. We were contracted to perform a specialist site investigation project at the proposed site of a new development at Wylfa Nuclear Power Station. The main site investigation contractor needed a specialist company that could ensure high quality cores while maintaining, as near as possible, truly vertical boreholes to 70mtr below ground level. Drilcorp tackled the work with a Beretta T59GEO rotary top drive track mounted drilling rig with clean water flush. The in-hole coring equipment was a Geobore ‘S’ wireline system manufactured by Atlas Copco that produced a 100mmØ core. All cores recovered were of extremely good quality with virtually 100% recovery throughout. JKS Boyles offered technical advice on the choice of core bit providing Series 8 impregnated slot face discharge diamond bits with 8mm of diamond impregnation. This was an excellent choice providing good penetration in the medium to hard strata to be cored and a bit life in excess of 120mtr. Verticality tests were carried out at 20mtr intervals on all boreholes with our own in-house verticality tool a Reflex Maxibor ll Optical Borehole Survey System. This versatile tool has an outside diameter of only 44mm and can be either pumped into a borehole or run in by wireline. All boreholes were well within the required verticality parameters throughout. Coreliner was used to ensure that the cores maintained their integrity during transportation from the drill site to the logging shed. The purpose of this contract was to drill a 500mtr deep borehole obtaining high quality cores throughout. The objective of the borehole was to investigate the core sequence to determine the core period when creatures evolved from entirely sea based to moving onto land and developing lungs. Core quality was essential so as not to miss any minute fossil remnants contained therein. We carried out the work with a Beretta T151S Rotary top drive drilling rig. Modifications were carried out to the drill head to gain extra rotational speed. Rod handling and clamping mechanisms were modified to handle the delicate wireline drilling system and an upgraded wireline was fitted. This was a highly prestigious job and we had only one chance to get it right so experts were contacted for top rate advice when required. Geobore S is not generally used on deep drilling projects and this project was one of the deepest boreholes drilled with a string of Geobore S.
To add to the complexity of the project it was anticipated that the borehole was to be drilled through swelling mudstones and Gypsum/Anhydrite beds so it was decided to use a slightly oversize bit and reaming shell to gain a little extra clearance and a Carbonado diamond bit was chosen and procured from JKS Boyles. Drilcorp sought advice from Baroid for a mud mixture and a combination of mud and baroid was chosen and procured through Boode. The first 100mtr proved the most challenging, with several fracture zones where circulation of drilling muds were lost. These had to be cemented with a special low slump grout in order to regain circulation- it would be impossible to carry on without circulation and it was too early in the borehole to case off. Circulation was recovered and the remainder of the borehole passed off without any major issues. This borehole was completed at 501.33mbgl and core recovery was around 99%. Geophysical logging was carried out by European Geophysical Survey. The client, the British Geological Survey, was delighted with the results. Indeed the project leader went as far as to say that “It’s been a real pleasure working with Drilcorp and I sincerely hope that we can work together again in the future. I shall not hesitate in recommending the company to others”. My final thoughts? Geobore S provides near perfect core samples, with our experience and kit to hand we are your perfect partner for both your Site Investigation needs and any bespoke projects that need a bespoke approach. We look forward to hearing from you.